Since it was launched more than ten years ago, Skype has turned into the primary resource used to make Voip calls as well as messages. Microsoft acquired Skype from eBay in 2011 for a hefty $8.5 billion. Now the co-founder of Skype, Janus Friis has released a new program that will directly compete against Skype. 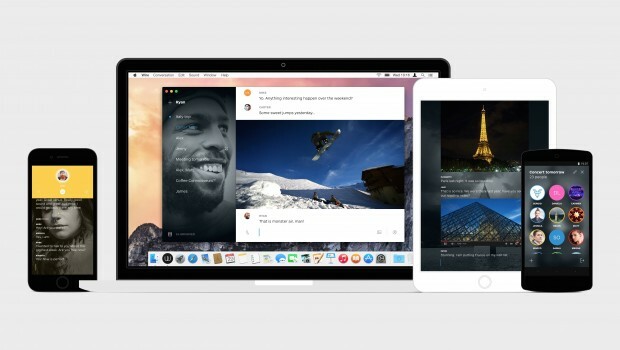 Called Wire, it is currently available for Android 4.2, for iOS 8 and for OS X 10.9. Skype was released more than a decade ago and many things have changed since its release. Everyone is used to free texting and calls, and everyone is used to taking their mobile electronic devices and handsets everywhere they can. The company in charge of the new application released on Tuesday, consists of over fifty individuals that at one time worked in Skype, Nokia, Microsoft and Apple. For example, Jonathan Christensen, co-founder of Wire and the current CEO, held leadership roles before while working at Microsoft as well as Skype. Alan Duric CTO at Wire previously was co-founder of Telio and Camino. The company allows Wire subscribers to share images, SoundCloud music, YouTube videos, instant messaging and group and individual calling. The Wire team has held its promise that they made which is to make an application for tablets and phones of tomorrow, offering a gorgeous, elegant presentation allowing the users to place all their attention on media and communications, and not the interface of the app. The online data company recently revealed that the new app is currently ad-free and can be downloaded at no cost. That means that users can call anyone any place in the world as long as they have a working internet connection and the person they wish to call is on their friends list. To make a call, users can simply press the username of whom they wish to call, and then press the phone. To end a call, users can just press a small X and end the call as easily as that. Calls can be transferred with ease as well.